Join voice actor Nikolle Doolin as she brings the pages of classic literature to life in this engaging literary podcast. Enjoy a myriad of great authors such as: Edith Wharton, Henry James, Emily Dickinson, Edgar Allan Poe, Shakespeare, and many more. 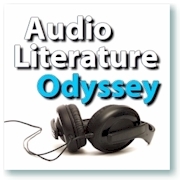 Visit the Audio Literature Odyssey Podcast site for more information.